Gracie Garcia stands near a border wall built next to her home about 10 years ago. Update: Nayda Alvarez recently joined a lawsuit filed by Valley residents against the Trump administration in the U.S. Court for the District of Columbia. It claims the president has crossed the limits of his authority. President Trump's emergency declaration will potentially free up over billions of dollars in funding for border barriers throughout the U.S., including in the Rio Grande Valley. Residents there have strong views about the barrier, both pro and con. Nayda Alvarez is a lifelong resident of La Rosita, a small town along the Rio Grande nested between the cities of Roma and Rio Grande City. She's a local high school speech teacher and lives next door to her parents. She remembers the moment she opened a letter from the federal government. "You know, I've had like a stress headache ever since I've got that letter," she said. The letter asked Alvarez if she would grant the federal government permission to survey her land for the possible construction of some kind of border infrastructure. She doesn't know what her legal options are: "It's the uncertainty behind the letter or behind everything, because you ask questions and they don't know when or where or how or what's going to happen." Surveying is generally the first step before the federal government offers to purchase the land. If the landowner doesn't want to sell, the federal government can sue, using its power of eminent domain to take the land. The first letter arrived in Alvarez's mailbox in September. Then a second one came in November, and a final one, threatening legal action, followed in January. Alvarez has not yet responded to either letter because she's busy seeking legal advice. 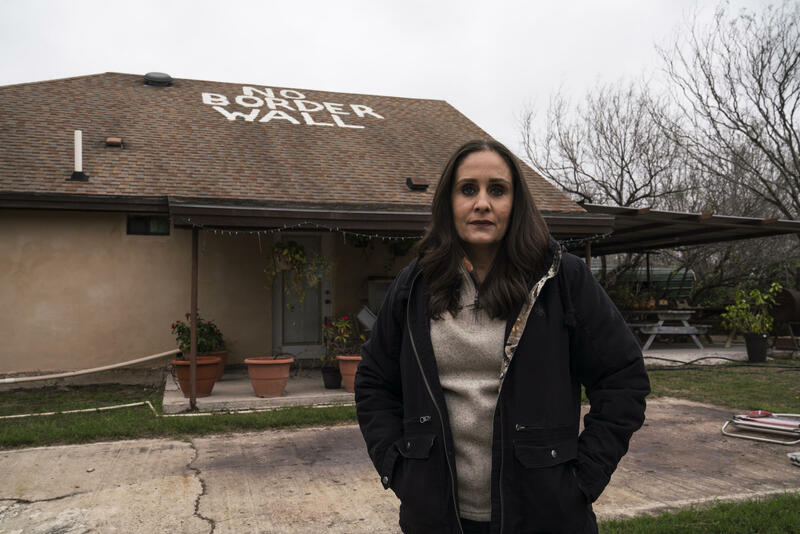 Nayda Alvarez expressed her opposition to a border wall with a sign on her roof. "I have lived here all my life," she said. "This land belonged to my great-grandparents since this area was part of Mexico. Unlike some people [who] say that we might be first generation — no, my parents and great-grandparents have been here forever." Alvarez questions the need for an emergency declaration to build a wall in her backyard — she said she has felt safe in her community her entire life. She said she has tried to talk to local, state, and federal government officials — including the U.S. Army Corps of Engineers — about the impending border project. "You ask them questions, and they have no idea," she said, referring to her interactions with the Army Corps of Engineers. "They won't give you an answer. They just give you the runaround, and they never give you a straight answer." But now Alvarez thinks she has a plan to get elected officials' attention. "If they ever do a flyby, I do have my 'No Border Wall' up on my roof so they know where I stand, but nobody's bothered to ask us," said Alvarez. "This is about what is right or wrong, and a wall is not going to help anything. It's not gonna work." Gracie Garcia lives in Los Indios, a small town by the Rio Grande near San Benito in Cameron County. She knows what it's like to see a border wall built on her property. That happened to her over a decade ago. "It's 10 years since they built it, and to this day we haven't been paid for anything as we were told they were supposedly going to pay for the property, the amount of land they took," said Garcia. Garcia is also a lifelong Rio Grande Valley native and lives with her four children next to a section of border wall that cuts through her backyard. "When I look at the wall, I think it's just a waste of money," said Garcia. "I really don't understand why they went this way." Garcia said she stayed in the area even after the wall went up because she loves her community. "It's really peaceful. Everyone gets along with everybody, the neighbors," she said. "It's quiet and it's good. It's a really good place to live in. It's comfortable." But Ruperto Escobar, who lives by the Rio Grande in the small town of Escobares near Roma in Starr County, about 90 miles away from Garcia, welcomes the push for more border barriers. He said he has seen people cross illegally onto his property from Mexico. "I've seen how freely people walk through here," said Escobar. "That's a fact." Ruperto Escobar is willing to give a border wall a chance to fight crime. 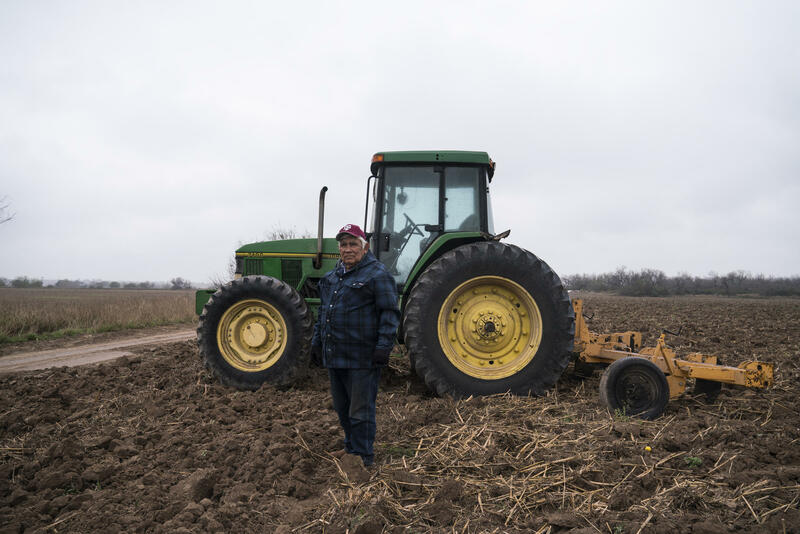 Escobar is 75 years old and a farmer who owns a total of about 600 acres of land. He doesn't mind the government cutting through his property, because he believes it will reduce the flow of drugs coming into the United States. The topic is extremely personal to him. "It has affected some of my kids, and I have personally gone through the hell that parents go through when they have children that are addicted to any one of these drugs," said Escobar. According to the Drug Enforcement Administration, most illegal drugs coming into the U.S. from Mexico arrive through legal ports of entry along the Southern border. Still, Escobar is inviting the government to build a wall on his property: "I say, let's try to stop it. Let's try something new. Let's try this wall because for 75 years, nothing has worked. Maybe this will." Alvarez said she doesn't have the luxury of a 600-acre farm. "I'm not losing a piece of my land. I'm actually going to lose my house," said Alvarez. "Unlike other people who say, 'Oh, I'm just going to lose the back part' — OK, you lose your back part, but I'm going to lose my house. What are we supposed to do? This is not America. Or at least not the America that I know." It's still unclear how many miles of border wall will be built in the Rio Grande Valley. According to the border security bill passed by Congress and signed by the president, the Department of Homeland Security and the local elected officials of the cities impacted by the upcoming border wall will need to reach a mutual agreement regarding the design and alignment of physical barriers by Sept. 30. The entire nation is talking about what's happening at the U.S.-Mexico border. Now, it's time for the border to speak for itself. 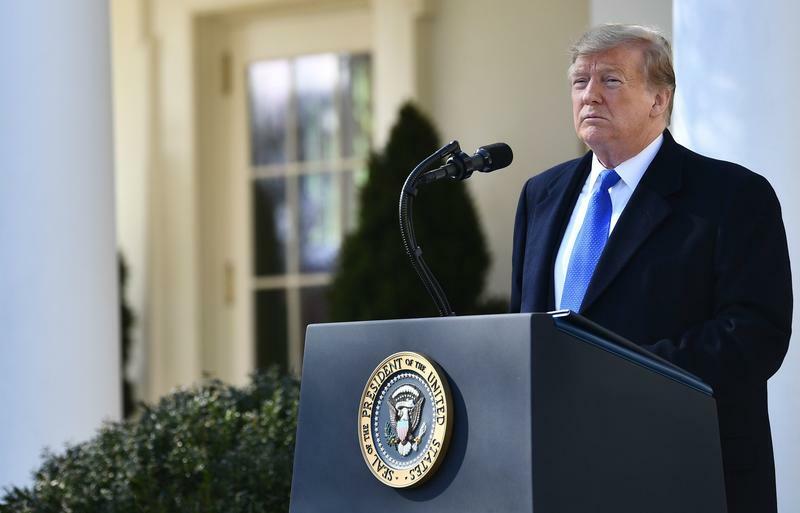 Calling it "a great thing to do," President Trump declared a national emergency on Friday in order to help finance a long-promised wall on the U.S.-Mexico border. It's a highly unusual move from an unconventional president. 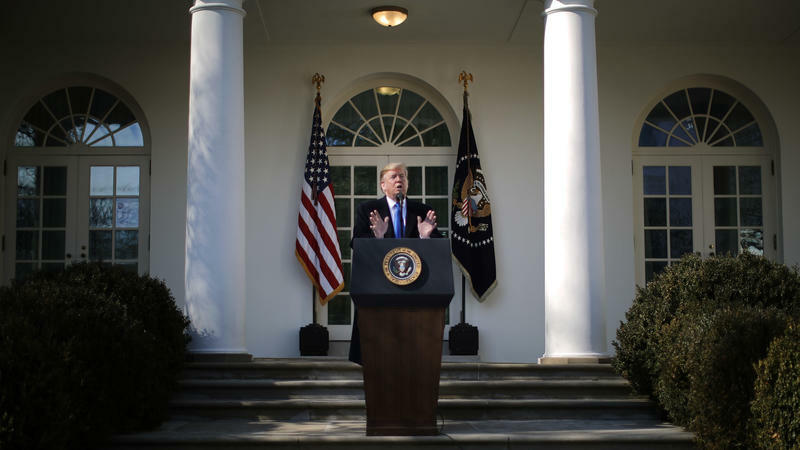 In declaring a national emergency Friday, President Trump tried to underscore the urgency of what he calls a national security crisis along the U.S. border with Mexico, while at the same time downplaying the gravity of his response.